Add flair to your decor with this Jeffrey Court 12 in. x 12 in. 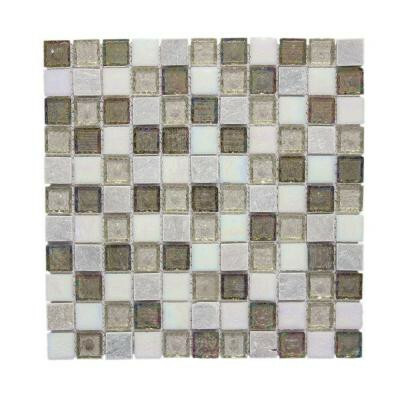 Fall Opal Cut-Edge Mosaic Tile that features a blend of glass and natural stone tiles in varying colors and visual textures to complement a variety of design elements. The semi-vitreous tile is suitable for most interior wall applications in kitchens, baths and living areas. Coordinate with matching trim or other field tiles (not included) to create a custom look to suit your space. You can buy this product in our internet market. We will be glad if you make the right choice. 1 square foot per piece, each piece sold individually. Piece weight 3.65 lb.